With unlimited bloody marys and mimosas till 2pm, Canterbury Ale House is exactly where you need to be spending your Sunday fun day. 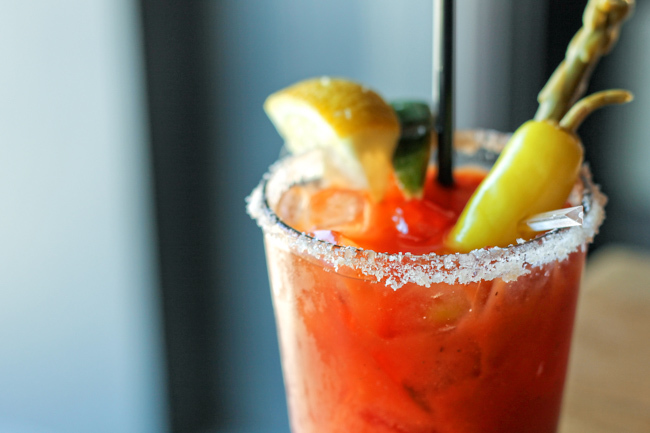 Very spicy with a hefty base, this bloody mary carries the spicy red liquid of drunken love straight through your mouth and into the depths of your vodka-craving soul. A little horseradish and lots of black pepper pieces accentuate the spice and a nice chunky salt rim provides the finishing touch.